ON THE COVER – Aidan Mattox lace gown($440), at Saks Fifth Avenue, Palm Desert, Buccellati 18K white gold cuff with seven faceted sapphires and 240 round diamonds ($97,000), 18K white gold and diamond pavé large curb 12-link bracelet ($64,400), and Ivanka Trump rock crystal bracelet with 18K white gold oval diamond clasp ($13,950), at Frasca Jewelers, Palm Desert. Photography by Jiro Schneider. Elegant style meets a timeless attraction. By Lawrence Karol. Photography by Brad Lansill and Elena Ray. In a wide-open, High Desert space, these houses bold colors blend into the landscape. By Gloria Greer. Photography by Mark Davidson. On the eve of his 10th McCallum Theatre performance, Jack Jones reflects on his life and career in and out of the desert. By Yvonne Georgina Puig. Photography by Osceola Refetoff. The saucy novelist spills the latest Hollywood gossip at an exclusive dinner benefiting AIDS Assistance Program. 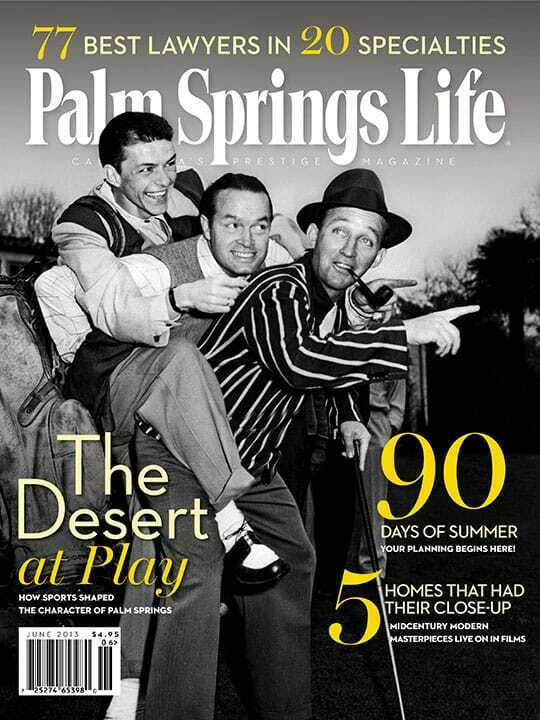 For almost a century, city pioneers, Hollywood celebrities, and the fun-loving people of Palm Springs made Palm Canyon Drive a boulevard of dreams. The giving season. Get involved, make a difference. The encrusted collar necklace exudes exotic elegance. Producer and studio exec Robert Evans says writing his memoir was a “harsh” process. Mixologists shake up a splash from the past. Serial philanthropist Gary Hall gives locally – because he can. Doug Freeman went to Washington with an idea – and this month we celebrate it. This Moroccan-style home transports you. Fed likely to hold down mortgage interest rates. Charitable giving benefits people in need – and donors, too. 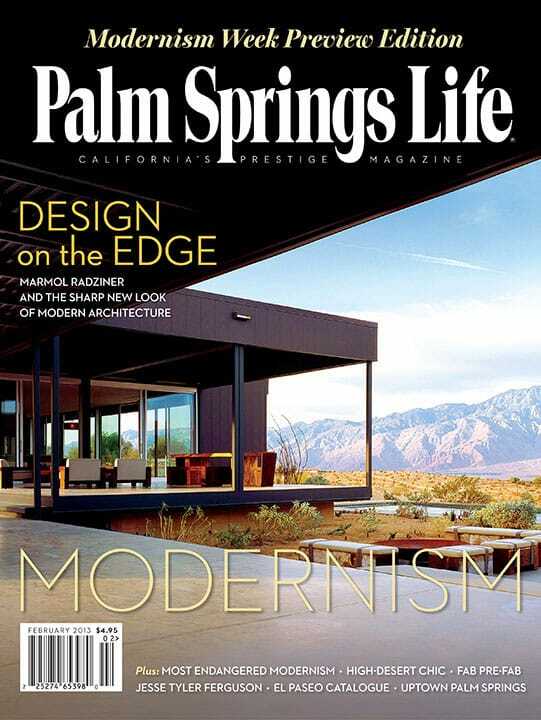 The official guidebook of the Greater Palm Springs Convention and Visitors Bureau. Everything you need to know about whats happening in the desert.